This was a fun lunch adventure with some friends this week. 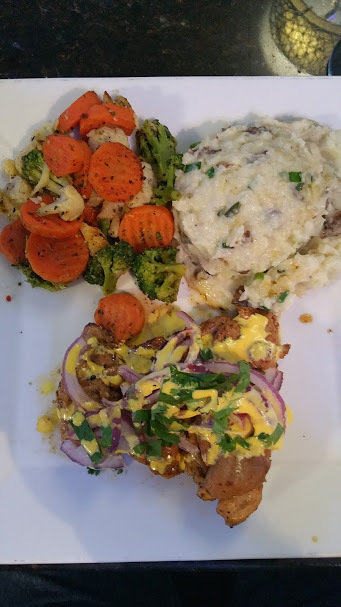 I have only been to one Peruvian spot here in town, which I really like, so I was curious to compare them. It was an interesting time. 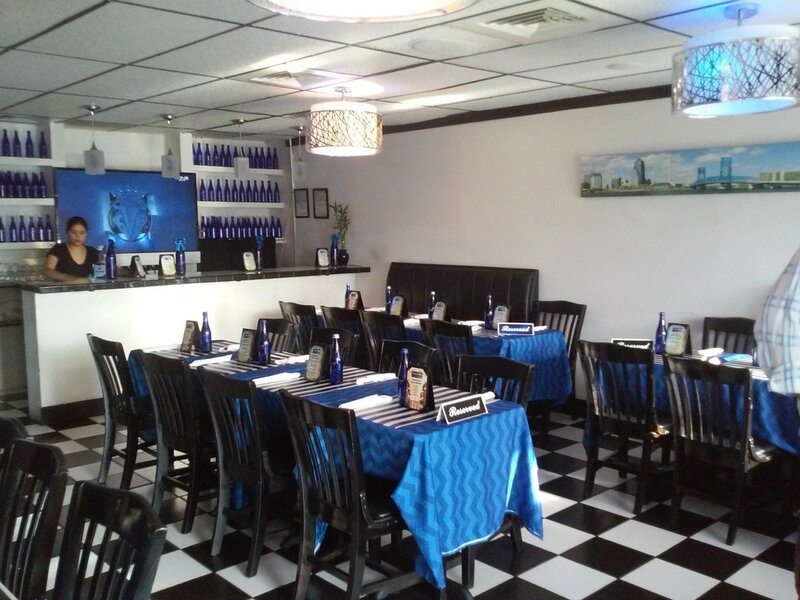 This is a small spot, almost unnoticed on a busy highway, but the corner location makes it easier for the first timer. Space is limited, but well used, it probably seats about 25 to a cozy 30 guests. On our lunch visit we were 11 “hangry” diners. The one lone waiter looked a little overwhelmed, with us and the other guests, but he pulled it out after a brief spell of confusion and everything at least at our table went well. 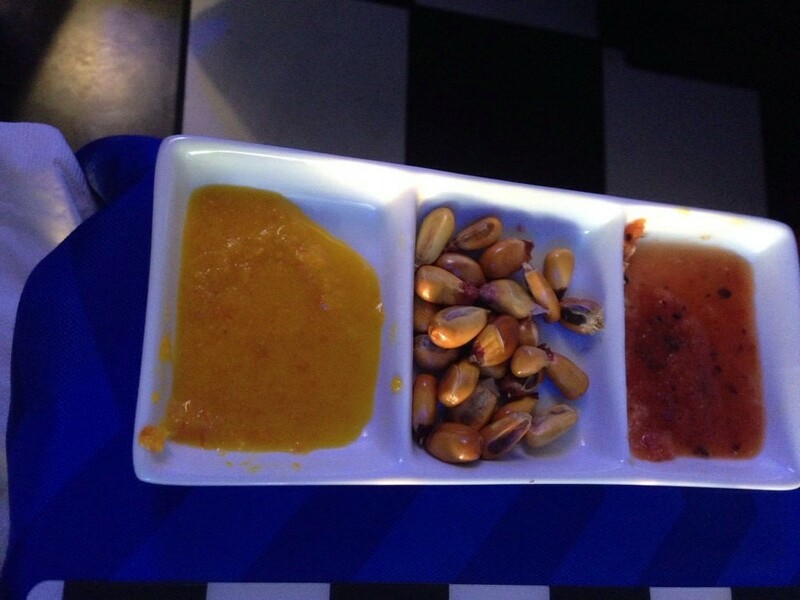 Were were offered, drinks, water and served some wonderful toasted large kernel Peruvian corn with a tasty dipping sauce. 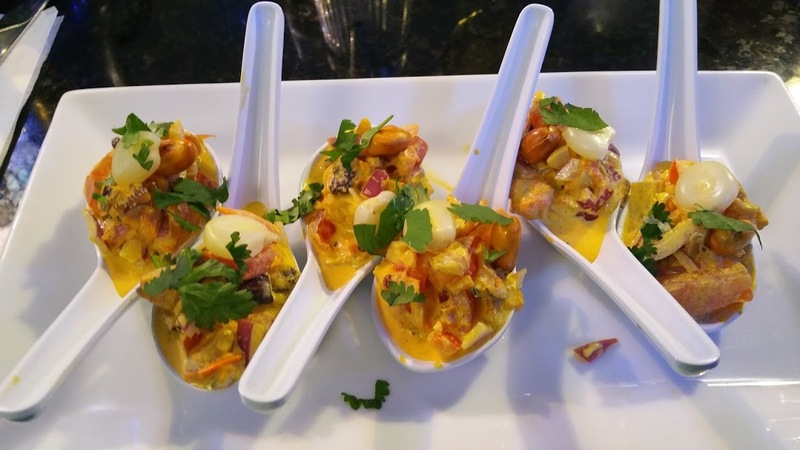 We started with a few appetizers and ceviche dishes. Another favorite Choritos a la Chalaca, mussels, lime juice, spices and Pruvian fresh corn served in individual portions. 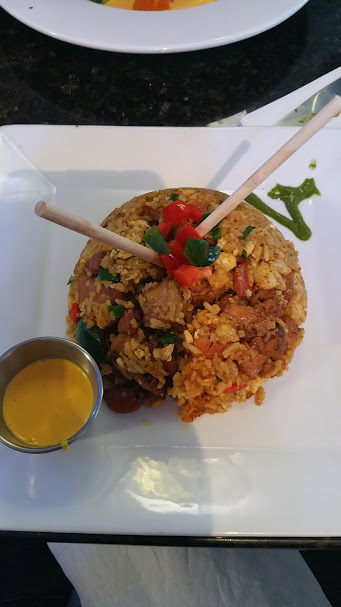 One of the less adventurous guests ordered the seafood fried rice. 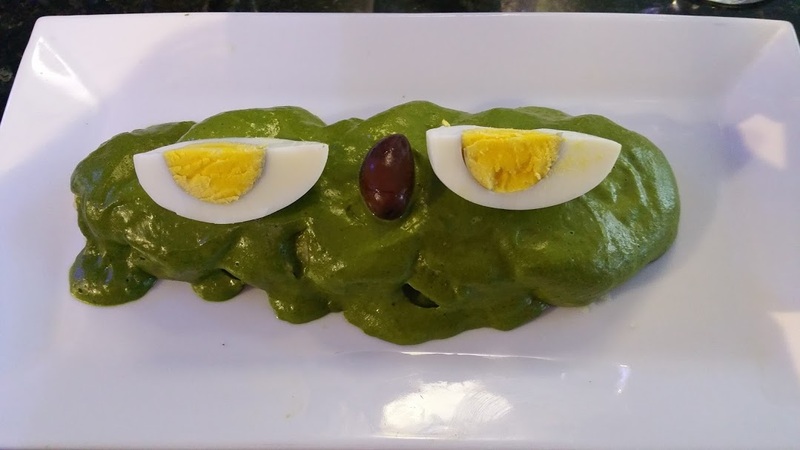 This was a nicely flavored dish, but nothing we have not tasted before. 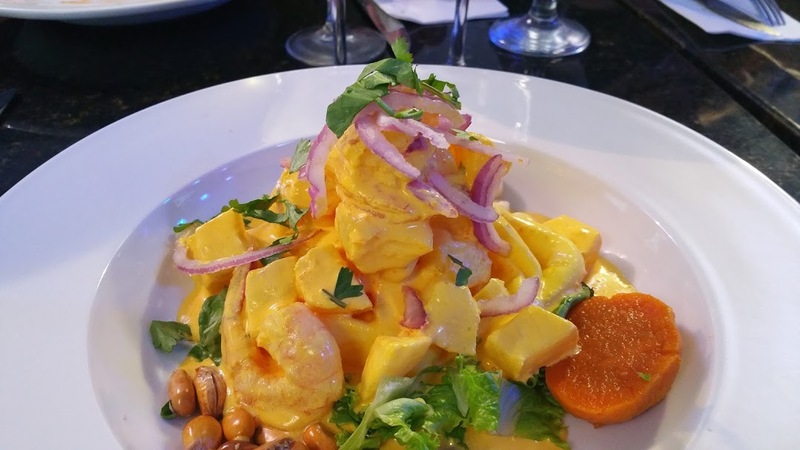 The Ceviche-end-crema-de-Rocoto was one of the more adventuresome dishes, ordered with shrimp a mixture of lime juice, garlic, salt, Peruvian Rocoto pepper and Peruvian Aji Limo pepper, this is a very spicy dish but if one is up to the challenge a total riot in the mouth. I will order this dish on my return. The Lomo Saltado is prepared using unique Peruvian pancooking techniques. Skirt steak, red onions, and tomatoes seasoned with soy sauce, served with white rice and mixed vegetables. Another great choice. 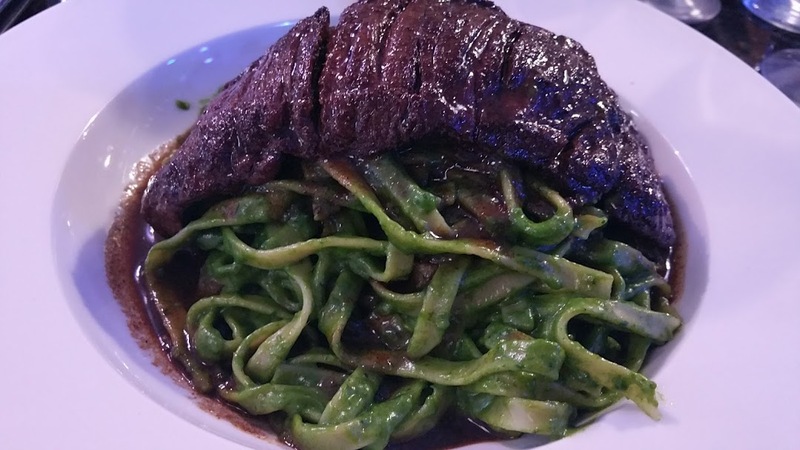 Our last dish; Tallarin Verde con Churrasco a Peruvian style fresh pesto sauce tossed with tasty spaghetti and a perfectly cooked skirt steak. I was amazed at the quality of the meat. This was my dish and I was over the moon with everything about it. Overall the group voted this a must return to spot. 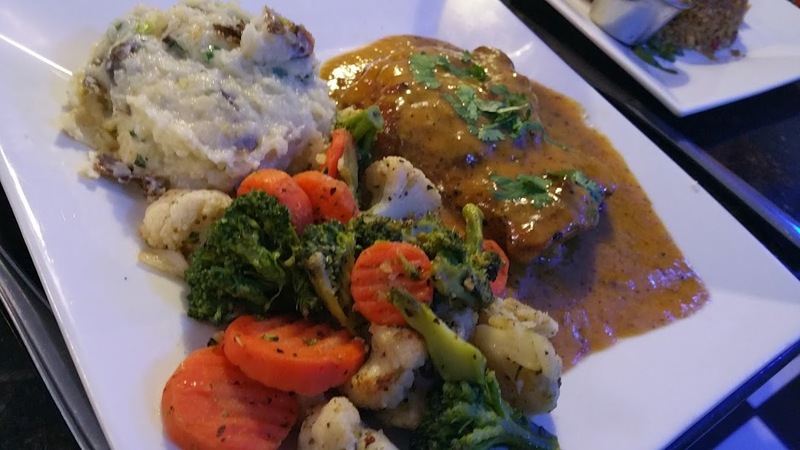 For me the win factor, along with the goodness of the food is the wide variety of dishes available. There are many items still to try at this spot, and I will happily make an attempt to try as many I can. 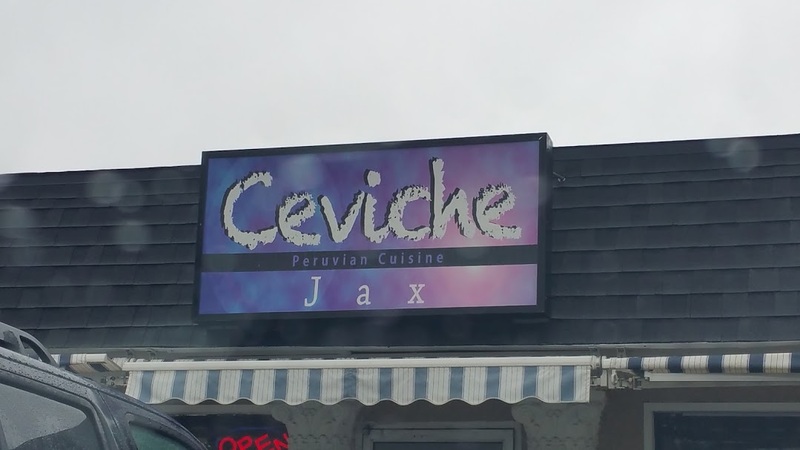 Check out the menu at Ceviche Jax to see all the goodies available, and get your taste buds ready for a wonderful experience. Take your most adventurous mates and encourage all to try something new. Remember the pricing may not be what is on the current menu.